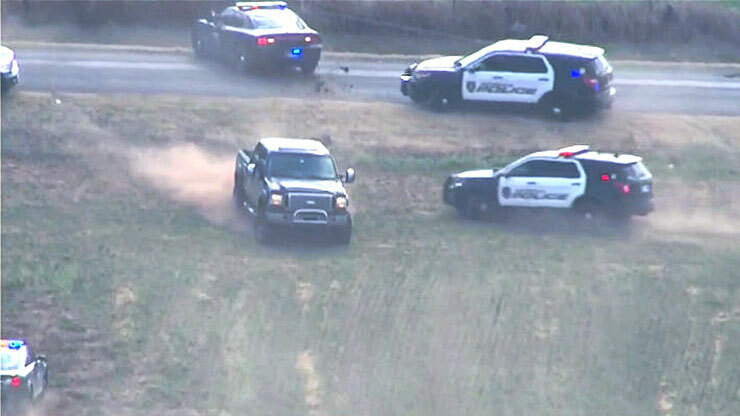 A lengthy and bizarre police chase weaved in and out of several jurisdictions in the Oklahoma City metro. Multiple police departments were involved in the chase through southwest Oklahoma City and Moore after the pickup truck was stolen. The chase lasted for more than two hours. The suspect, Brenton Hager, drove back onto the road on Southeast 89th Street and drove through a neighborhood. He was also seen driving through Orr Family Farm before getting back onto Western. 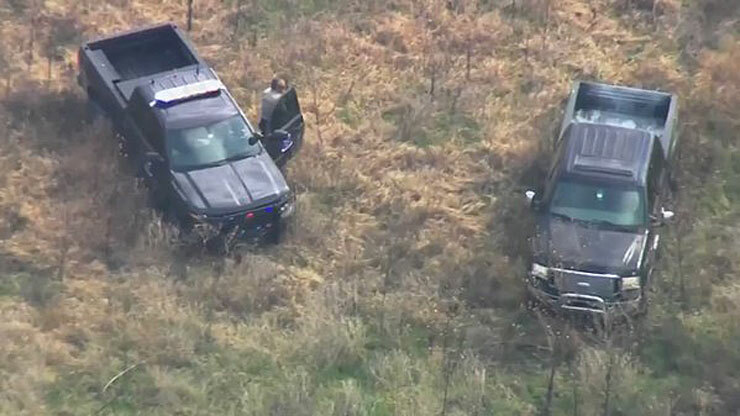 At least three crashes caused by this chase have been reported, according to authorities.After being hit and escaping from several patrol vehicles, the driver left that field, crossed a road and went into some thicker brush. At one point, the pickup truck appeared to be trapped while driving up onto the roadway and facing a ditch. The back of the truck was hit by a patrol car, which spun the pickup around. It came to rest facing the field once again, and the driver sped through a group of police cars and escaped. The pickup truck eventually came to a stop, and an officer in a police pickup parked near him. The officer got out with a gun and pointed it through the window of the stolen truck from the passenger’s side. As he approached the front of the pickup truck, the driver quickly reversed and pulled away from the officer and ended up in a pond nearby. He got out of the truck and led officers on a short foot chase. Hager was taken into custody after being Tasered by officers.